It’s all about balance. For every sunrise, there must be a sunset. For every noon, a midnight. For every heatwave, a cold snap. And for every Top 10, an equal number of bottom dwellers. My Bottom 10 lists have never been complete. My movie-going habits allow me to bypass some of the worst detritus dumped into multiplexes. If I saw everything, this list would almost certainly look different. But if something looks really really bad and I have no obligation to write a review for a newspaper, I give it a pass. Or, in a few cases, I see it and don’t bother writing about it because I have no desire to revisit the experience in front of a computer monitor. What I’m left with is the ten must unappealing movie experiences I have had in theaters during the past year. Although the list isn’t authoritative, that doesn’t mean it lacks value. If your cinematic sensibilities are anything like mine, no movie on this list should be considered worthwhile for either theatrical or home consumption. Some of the titles on this list were universally regarded as ghastly. Two were inexplicably successful (one of which was also universally regarded as ghastly). At least one was a critical darling. Normally, I release this list in November. This year, I waited a month to see if any late year contenders would slip through the door. They didn’t. The latest release date of any film in the Bottom 10 was Thanksgiving weekend. #10: Pitch Perfect 2 - I wasn’t the biggest fan of the first Pitch Perfect but I can understand its appeal to a certain demographic. The same cannot be said of the incompetently written, lazily directed sequel. The first movie road the coattails of Glee. The second installment came late to the party and proudly displayed the label: “The original made money so let’s make another.” The most depressing thing about Pitch Perfect 2 is that this one was financially successful as well which means, as sure as the sun will rise tomorrow morning, there will be a Pitch Perfect 3. Don’t expect that to be on a future Bottom 10 list because I have no plans to subject myself to it. 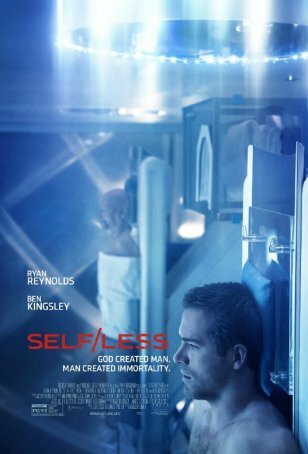 #9: Self/Less - This is one of those films that it’s difficult to feel passionately about because it was so completely forgettable. I had to reread the review to remember why I disliked it. It’s mostly a case of filmmakers taking a promising premise and utterly trashing it in the scripting and filming stages. The cast is there. The ideas are workable. It’s just that no one gave much thought to developing a compelling, coherent story. #8: Mistress America - There’s a contingent of people in the cineaste firmament who despise Noah Baumbach. It’s not just a mild dislike but a full-bodied hatred. With Mistress America, I’m starting to understand why. This movie offers the pretentious prattling of someone who believes himself to have ascended to a position of greater cinematic enlightenment. Proof that not all bad movies are necessarily mainstream fodder. Art house customers occasionally get to share the pain. 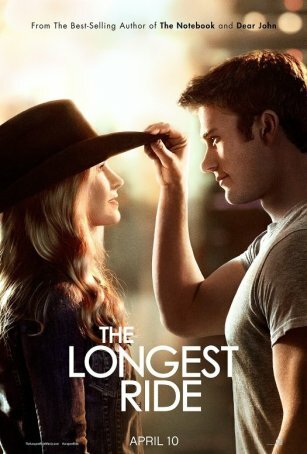 #7: The Longest Ride - True to the Nicholas Sparks formula, The Longest Ride offers all the usual clichés. This could form the basis of a study about how not to convert a romance novel into a movie. The key to any love story, whether on paper or on screen, is to make the characters real and vital. When that happens, the result can be magical even if the narrative is a patchwork of familiar elements. When that doesn’t happen, you get The Longest Ride. #6: Fifty Shades of Grey - Every vistor to this site knew this movie would be on this list, somewhere. It’s hard to figure out why the movie was successful when everyone, including members of the target demographic, panned it. Even the actors didn’t much care for it. Yet it made buckets of money. People saw it, I think, because they were worried that by not seeing it, they would be "left out of the conversation." Perhaps the only surprise about Fifty Shades of Grey is that I put it in position #6, meaning I thought there were five even worse movies in 2015. 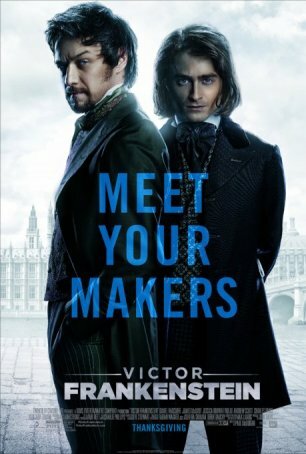 #5: Victor Frankenstein - This film deservedly bombed at the box office, proving that movie-goers weren’t interested in yet another take on Frankenstein, let alone one from the perspective of Igor. Screenwriter Max Landis, who lambasted critics and movie-goers after they ignored his American Ultra misfire, has proven himself to be tone-deaf about what makes compelling cinema. His screenplay isn’t clever, witty, or engaging and even A-list actors James McAvoy and Daniel Radcliffe can’t save it from tumbling into a death spiral. 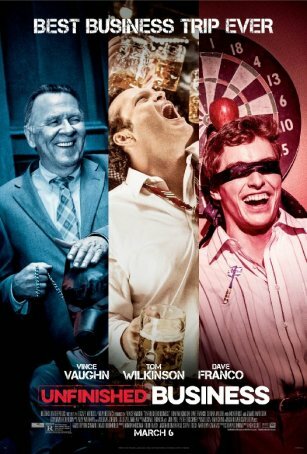 #4: Unfinished Business - More like “Unfunny Business.” Every year, we get a group of so-called “comedies” that are so devoid of humor that they become painful endurance contests (see also #1 and #2 on this list). The saddest aspect of this movie is watching the great Tom Wilkinson subjected to all manner of indignities. Okay, I know that the guy has bills to pay and I understand that sometimes he has to take jobs like this to enable him to accept less for artistically satisfying roles, but that doesn’t mean I can’t mourn the experience of watching him in this. #3: The Boy Next Door - There was a time when Jennifer Lopez was a viable box office draw. Then along came Gigli and everything changed. In the wake of that mega-flop, Ben Affleck reinvented himself. Lopez did as well, at least as a singer. But as a movie star? Most of her post-2003 films have been tepidly received at best and it’s hard to argue she has multiplex appeal any more. Her choice of roles hasn’t helped. Where she once co-starred with George Clooney in the amazing Out of Sight, now she shares the screen with Ryan Guzman in 2015’s worst thriller. The “Lopez” brand may not be as hopelessly tarnished as the “Nicolas Cage” brand, but after a few more like The Boy Next Door, direct-to-VOD may beckon. #2: Hot Pursuit - Is there any actress more irritating than Sofia Vergara? Using the term “actress” is generous. I understand her appeal and it has little to do with her being able to essay a character. Having to sit through 90 minutes of her attempting to generate a little buddy chemistry with Reese Witherspoon is too much to bear. Refer to #4 for my comments about good actors appear in crap. Also refer to #4 for my note about unfunny comedies. 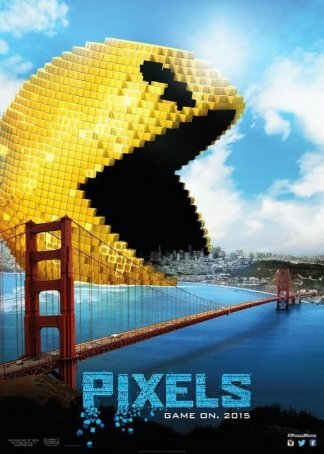 #1: Pixels - This is the film that finally crashed Adam Sandler’s already falling star. Sandler has been in a downward trajectory for a long time now with his comedies becoming increasingly lazy. Pixels is the perfect, spectacular finale to this crash-and-burn. The premise - alien invaders attacking Earth using ‘80s video game caricatures - would take a comedic genius to make into a successful movie but I suppose it could be done. If Sandler ever was such a person, those days are long past. Pixels isn’t fun. It isn’t entertaining. It’s annoying. It’s a waste of time. And, thankfully, it tanked. I can’t say this is the end of Sandler’s career but, by all rights, it should be. Crown this Sandler vanity project as my choice for the Worst Film of 2015.